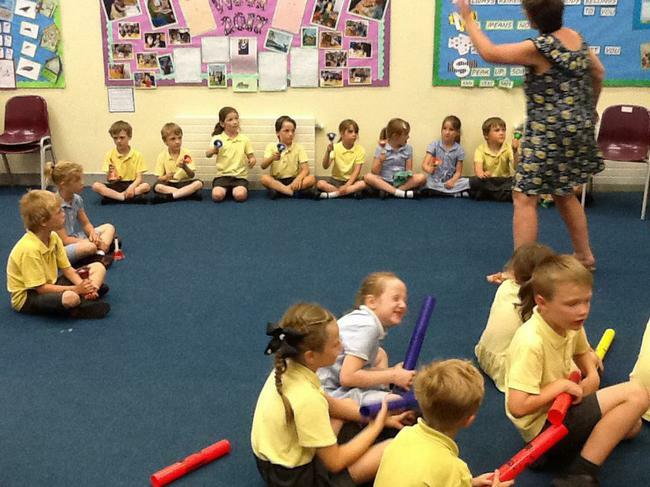 At Twin Sails, we are passionate about Music! 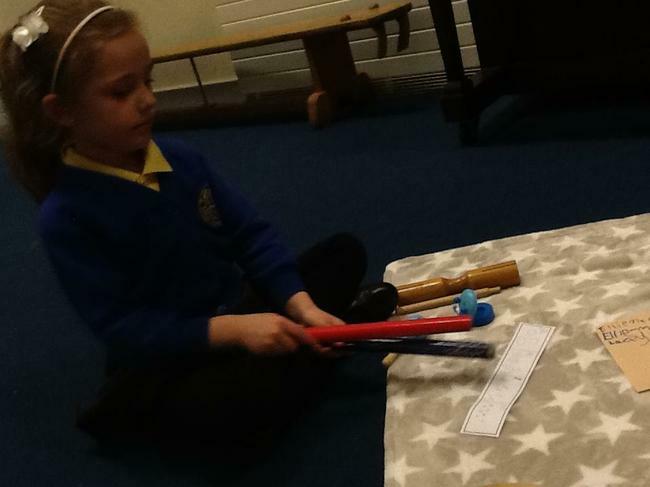 We believe music and performance develops pupils confidence, creativity and supports their progress in other areas of the curriculum. 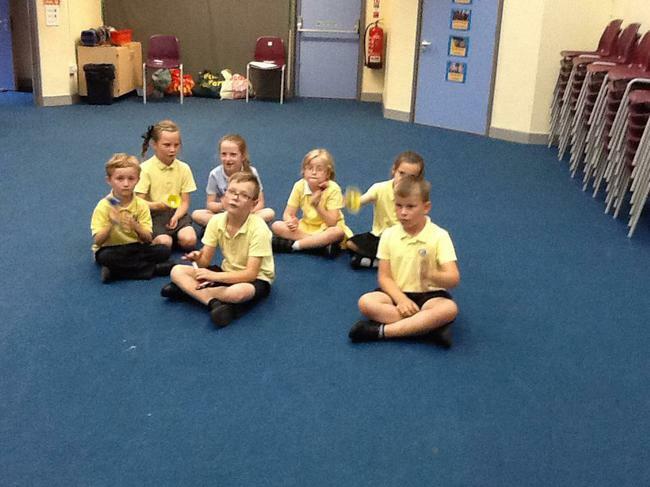 We are proud of our children's amazing singing and we sing every day during our assemblies. 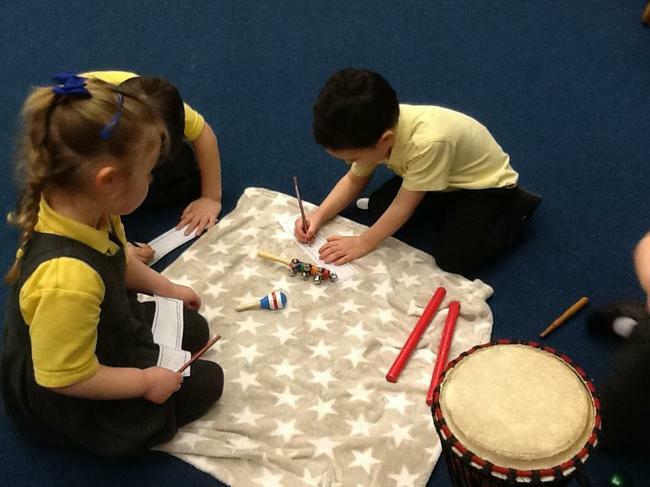 We sing songs which have a meaning to us and that we can relate to. 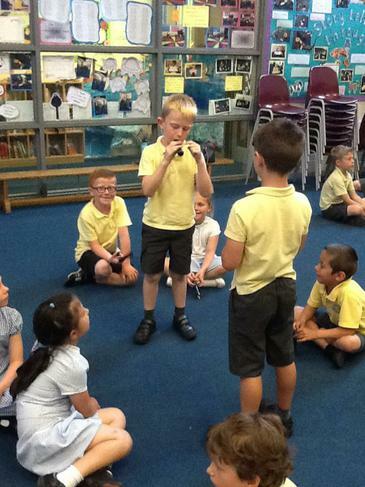 We sing songs which inspire us and are uplifting to perform! 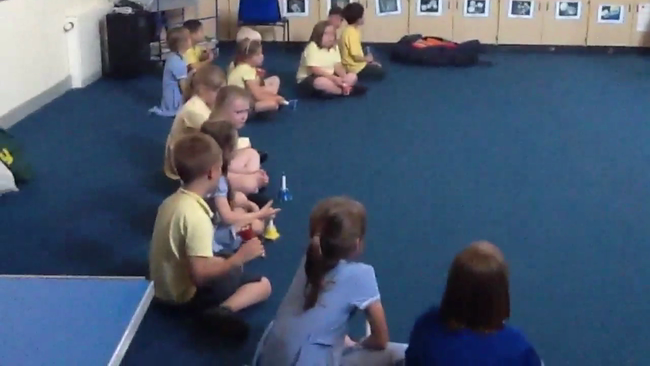 We encourage children to express themselves when singing, as our assembly video clip demonstrates! 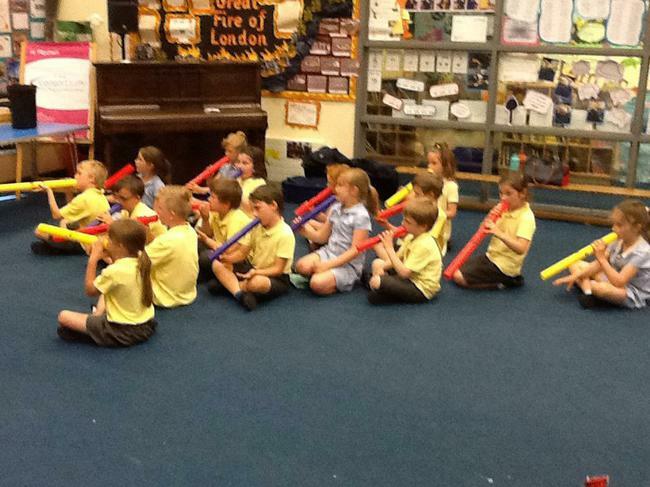 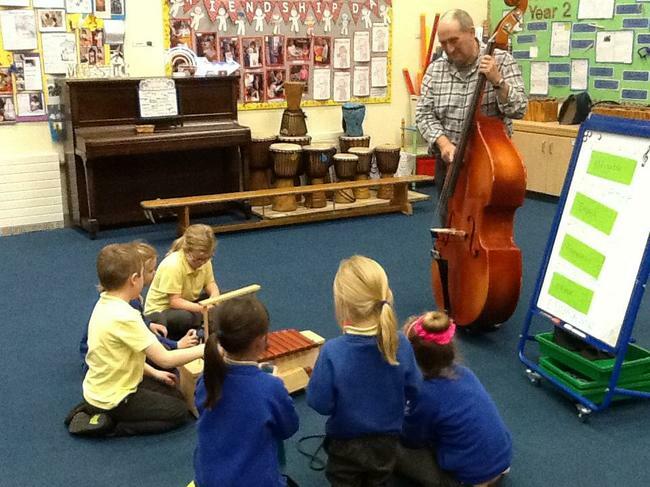 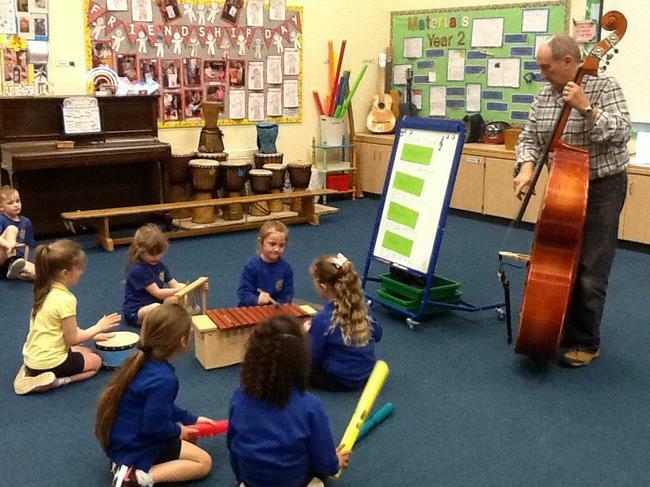 Our music curriculum is highly valued - a specialised Music teacher delivers our curriculum to Reception up to Year 2. 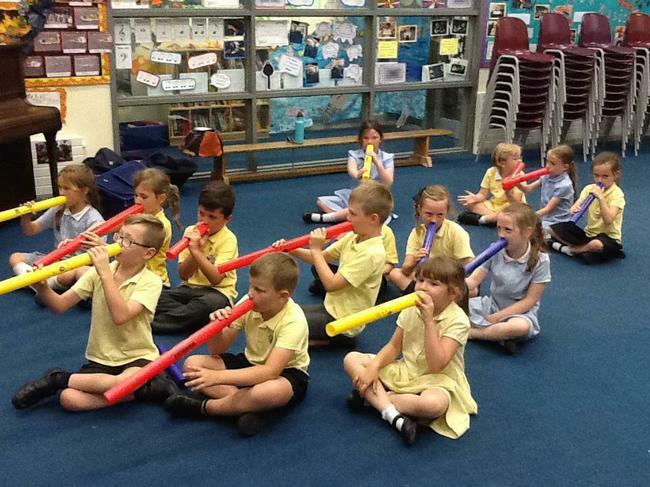 All children are given the opportunity to begin to learn the recorder and by the end of Year 2, are able to play simple notes and tunes. 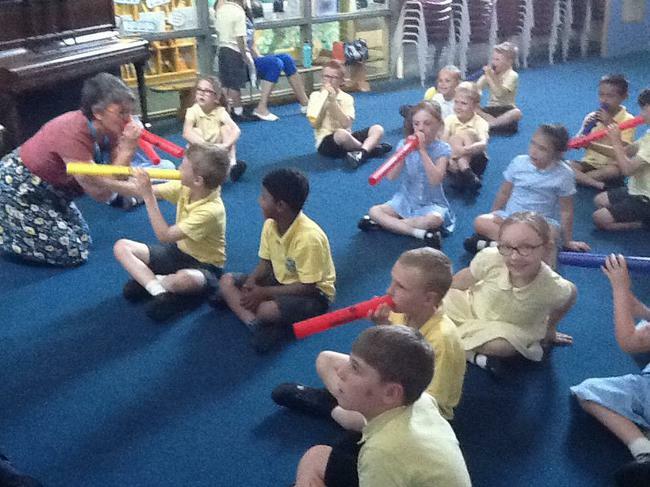 We also provide opportunities for pupils to take part in a variety of musical experiences, including visits from the Bournemouth Symphony Orchestra and Soundstorm. 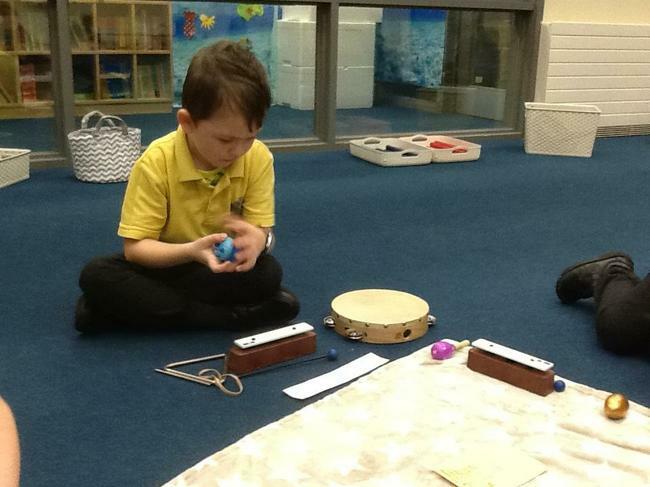 We have even hosted 'Babigloo' who provide a highly successful musical programme for babies. 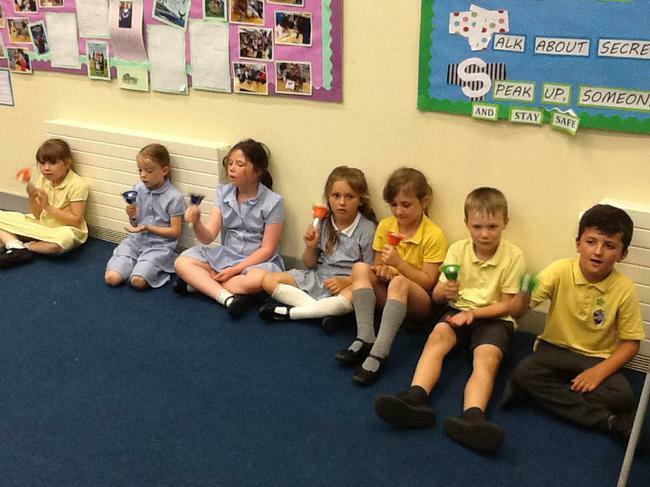 Our music sessions begin by listening to music from all different genres, a warm up song followed by a main activity. 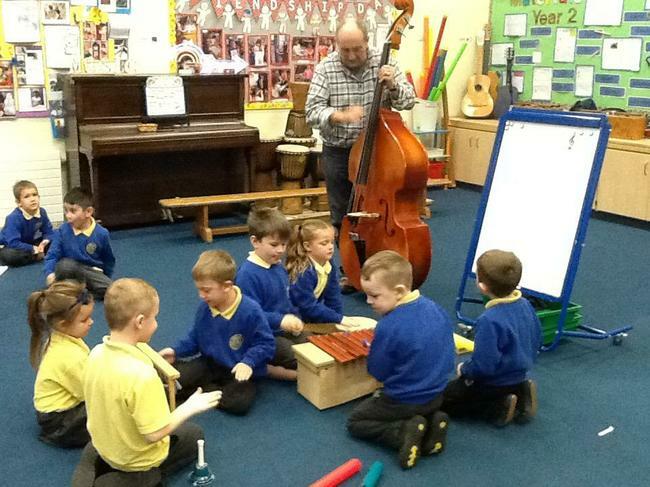 Music is delivered through a skills based curriculum and each week we learn a new musical skill, or embed and develop a previously taught one. 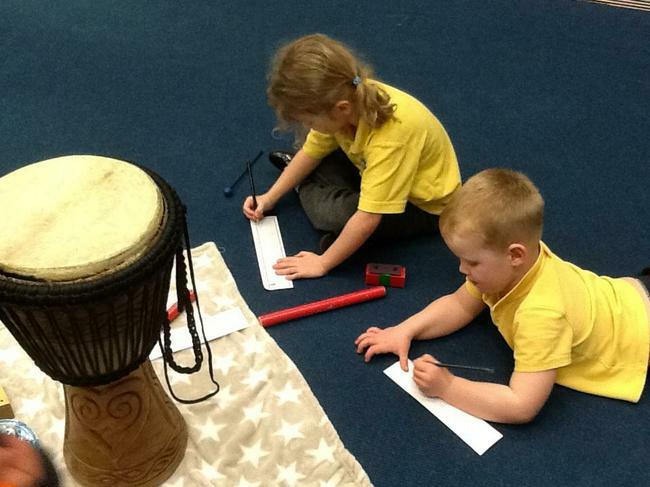 Sometimes the skills are linked to the topic the children are learning about in class. 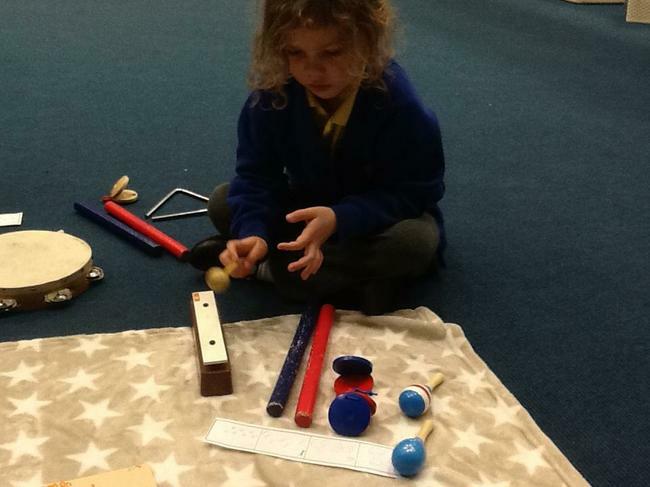 Children will have opportunities to play and explore a wide selection of instruments during their music sessions. 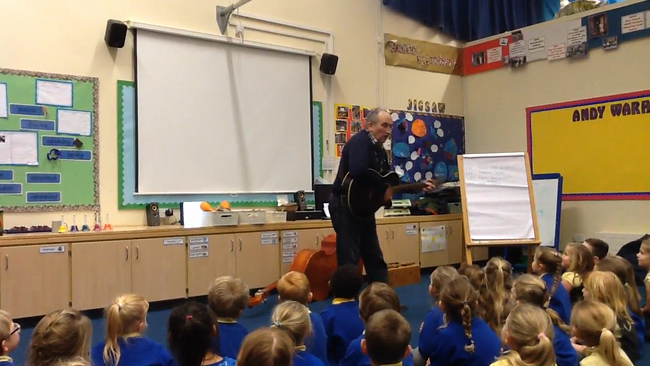 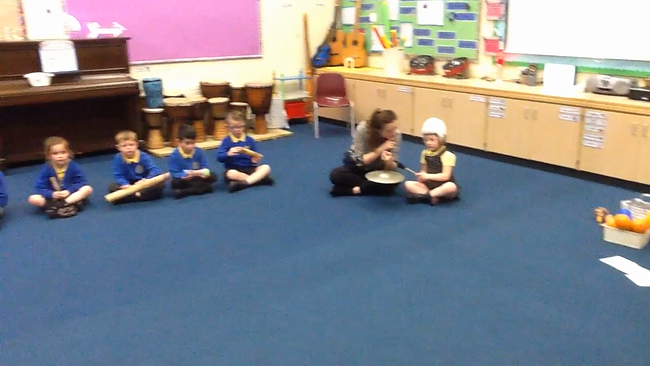 We often record our music sessions, the children love to watch themselves perform – you will see below some examples of our music sessions this term. 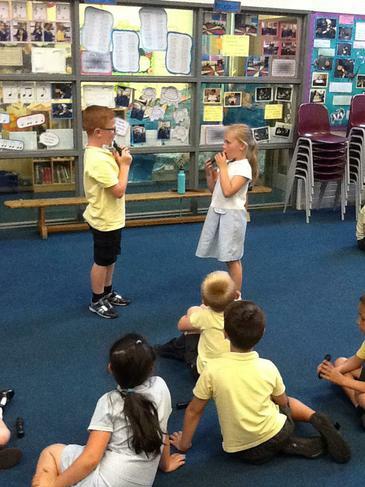 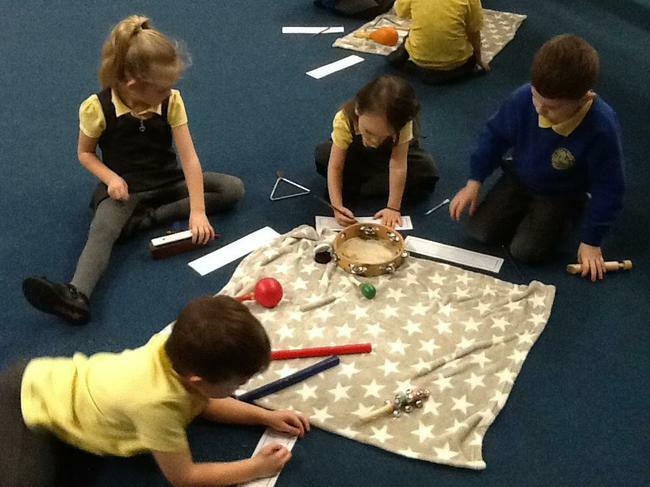 Reception have been creating sound patterns using the instruments around them. 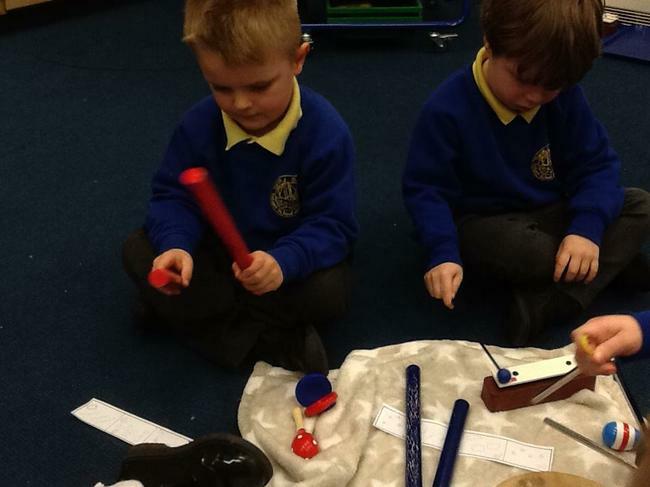 Year One have been learning about loud and soft sounds within music, they have created their own musical creation inspired by the sounds from the ocean.